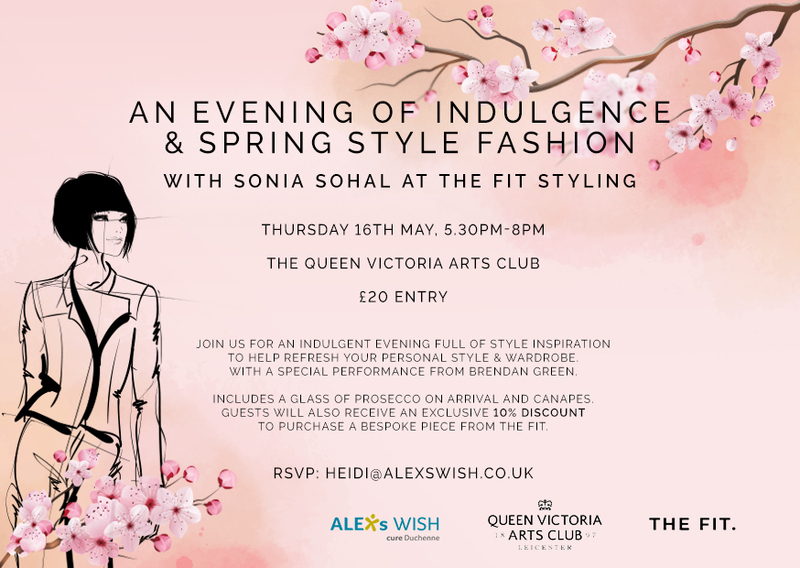 Join us for an indulgent evening full of style inspiration to help refresh your personal style & wardrobe, with a special performance from Brendan Green. The Fit starts with the individual not the clothing. They offer both men and women access to premium fashion at an accessible price point without sacrificing quality and fit. They believe that you we shouldn’t be categorised as a certain size and have to compromise with what’s on the shelf, we all deserve to look and feel our best in how we dress everyday. Their pieces work as hard as you do, so they design around you, your lifestyle and personal figuration, each piece you wear from The Fit, should feel like second skin its clothing that doesn’t hide who you are but helps reflect who you want to be. – A styling session- Sonia founder of The Fit will show you how to style and refresh your day to day looks, and how to get the most out of your wardrobe. – A showroom (the one with the clothes) where you can try things on and get advice on your personal wardrobe. – Models will be wearing the pieces so you can touch and feel the fabrics. – And a chance to win a mini style makeover from The Fit!